For example, through the US Census records, I learned that one great-great-grandparent was born and raised two farms away from the women he eventually married. In March, 2017, I watched the Daniel Boone episode of History Channel TV series "The Men Who Built America: Frontiersmen." That started a chain of thoughts, and ended with the realization that putting my ancestors into the context of their time was going to absorb as much time as the people research. 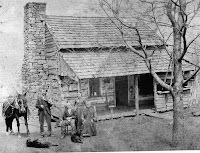 For example, Daniel Boone blazed his Wilderness Road through the Appalachian Mountains and founded the village of Boonesborough. That was in 1775, and at that time Kentucky was, well, the wilderness. But I haven't researched the living conditions in North Carolina at the time. Looking at my family tree, bringing Kentucky out of the wilderness was happening about the time my 3rd-great-grandparents were born in South Carolina Jeremiah (1779) and Levi (1794). The next records I found were their marriages in central Kentucky (1808 and 1813), over 100 miles west of Boonesborough! What was happening in Kentucky in the 35 years between the founding of Boonesborough and my grandfathers' marriages? 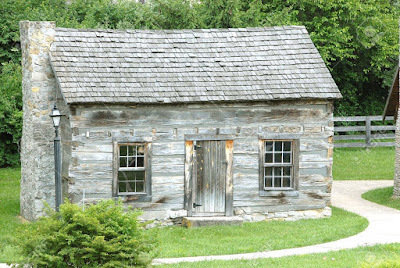 How many settlements were in Kentucky in 1800? Where/how were these marriages recorded? When/how were farms "owned?" Deeds recorded? Had roads been clearly defined by then, or were they merely trails? How much travel was there within Kentucky? How long did it take to travel between central Kentucky and the Carolinas?